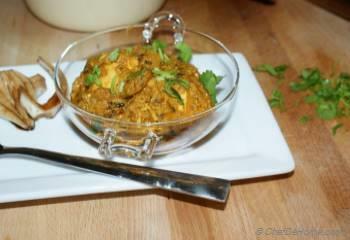 Karahi Chicken or Karahi Chicken Curry is loved and eaten all over India. 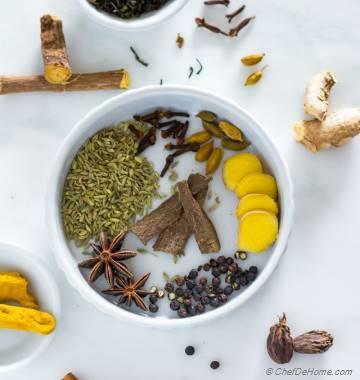 To make Karahi Chicken, traditionally Chicken is sauteed in aromatic mixture of herbs and spices in a Karahi (wok) but in modern fast living, pressure cooker has taken place of Karahi. 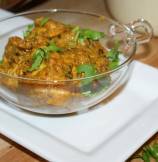 This recipe is my take on traditionally Karahi Chicken, my husband loves this dry curry and we usually eat it with Naan bread or Wheat Roti, this recipe will go very well with plain rice too. 1. Pre-Prep - Add chicken and water to a pressure cooker or deep heavy bottom pan. Add bay leaf, 1/2 tbsp salt and pressure cook for 7-8 minutes. Or in a heavy bottom pan, bring to boil and then simmer for about 15 minutes till chicken is not pink and has released flavors/oil in water. If you want to save some time, then skip this step and add 4 cups of low sodium chicken stock and raw chicken to the gravy in step 3 together and cook till chicken is fully cooked. 2. Separate chicken from water and set aside both. Discard the bay leaf. Finley chop onion, ginger garlic. Also finely chop tomatoes separately. In same pan or cooker, add 2 tbsp oil, heat oil, add onion and ginger mixture and fry till onion is brown. Now add all spices and fry for 1 more minute. 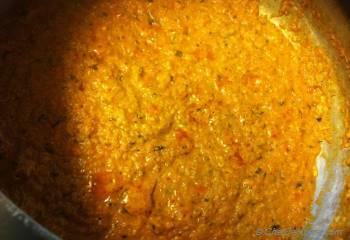 Add chopped tomatoes, salt and fry till oil separates. 4. 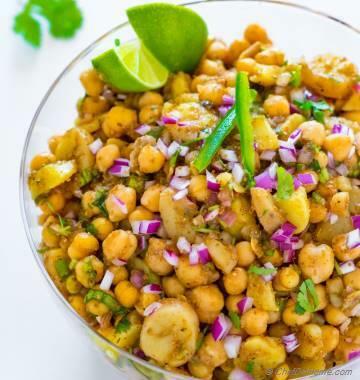 Garnish with cilantro (optional) and serve hot with your choice of flat bread. To save time, you can skip first step of making stock by par-boiling chicken and use 4 cups of low sodium chicken stock instead. If using store bought Chicken stock then add raw chicken and stock to the gravy in step 3 together and cook till chicken is fully cooked. thanks @Sandy and @Tasty Treat Rony. I always try to click best shots I can. 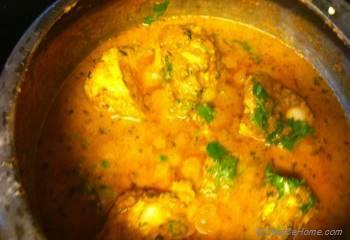 @Amanda, I do have photos for recipe steps for Karahi Chicken, just not got enough time to add those. I will add those soon here. Please check back again. thanks for stopping by. 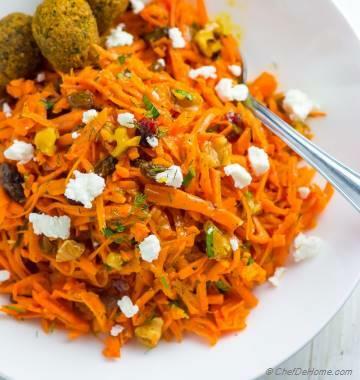 Chefdehome, Can you add photos for the recipe step too? like you have in most of your other recipes. A+ your recipe pictures look great. 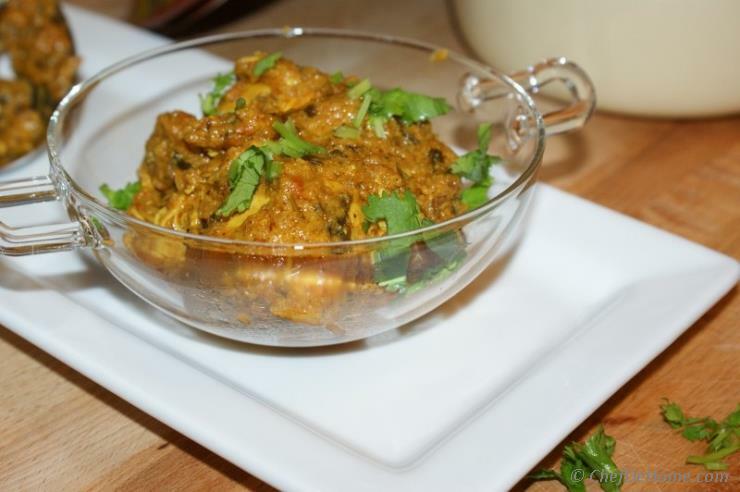 i am loving your chicken Karahi here, love your site, cannot wait to try this recipe.